Activities you do in front of a screen, like watching TV, being on the computer, using the cell phone and playing video games, are called “Screen time”. On average, American children spend almost 3 hours a day watching TV, together along with other activities, they go from 5-7 hours in front of the screen. So long in front of a screen, can cause children sleep problems, anxiety, attention problems and obesity. Therefore, doctors and experts recommend no screen time for children under 2 years, and only 1 to 2 hours of screen time for children over 2 years old. Set the example, spend quality time with your kids and promote their interest for outdoor activities. Have no TV areas in the house, starting by their bedrooms. 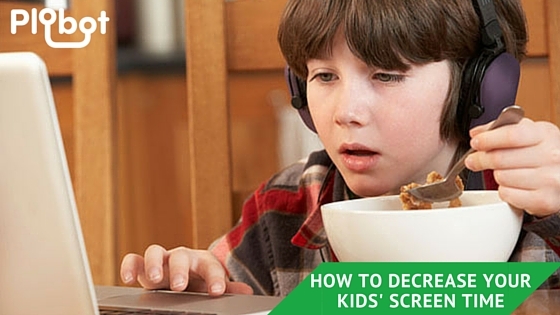 Do not let your children eat while on the computer or watching TV. There is time for everything. Introduce them to other activities such as board games, books, sports or puzzles. Let them play with Plobots and learn to program! Joke aside, there are many tools to awake their interest for science without a screen. 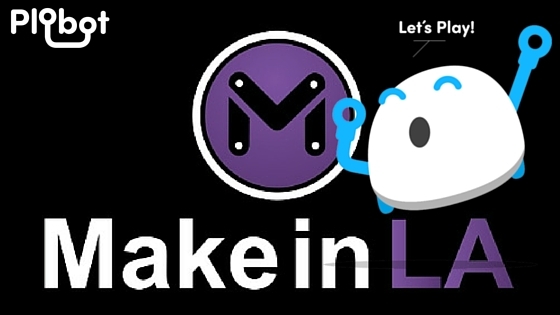 We are part of MakeinLA! We recently were selected as one of the four lucky companies over hundred applicants. Los Angeles awaits for us! Thanks to Pablo and the rest of the team! We are very proud of having a website finally. It has been a long journey to get till here and we are so thankful to each one of the ones that contributed. Hope we can also connect with other parents and teachers as us.